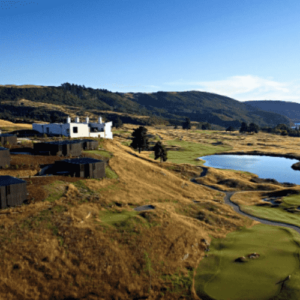 The West Coast of the US is home to some of the worlds best-Golfing destinations and we have combined them all in one Golf Trail to create a bucket list Golfing tour of epic proportions. Land in LA, make your way to the desert Oasis of Palms Springs before ending in the enigmatic Las Vegas. 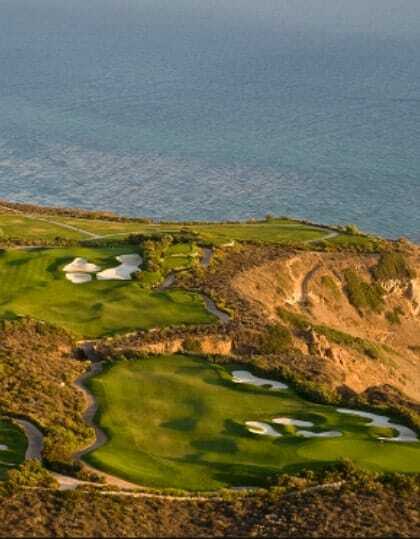 This is only one itinerary on offer and can be combined with the Monterey Peninsula, home to Pebble Beach. Rental car options are available. Residence Inn, Los Angeles. Courtyard by Marriott, Palm Springs. Luxor, Las Vegas. We have handpicked our favourite luxury Golfing resorts, a stones throw from incredible golf courses and nearby to local experiences. Mid-Century Modern And Architecture Tour, Palm Springs: Join architectural historians for an in-depth insiders’ tour of modern Palm Springs. You’ll see hidden masterpieces, hear the stories about who lived where, and learn about the talented architects and designers who contributed to the city’s modernist legacy. 50’s and 60’s. Las Vegas Grand Canyon Tour: A Trip of a lifetime as you sweep into The Grand Canyon in a helicopter. Extend this bucket list adventure by stopping for a picnic at the bottom of the Canyon, or fly back over Las Vegas strip at sunset. 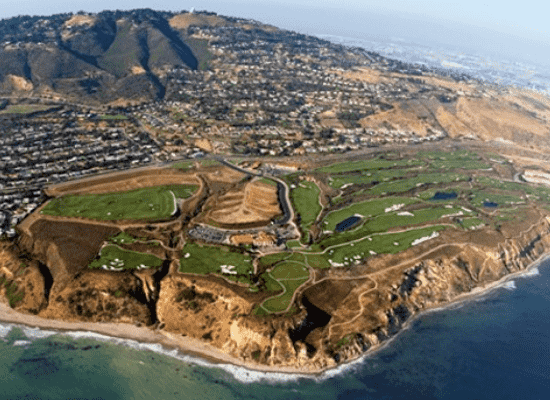 Tee off at Trump Golf Club, a Pete Dye design just south of the city of angels. Beautiful property sitting on high cliffs overlooking the Pacific. Explore Los Angeles. 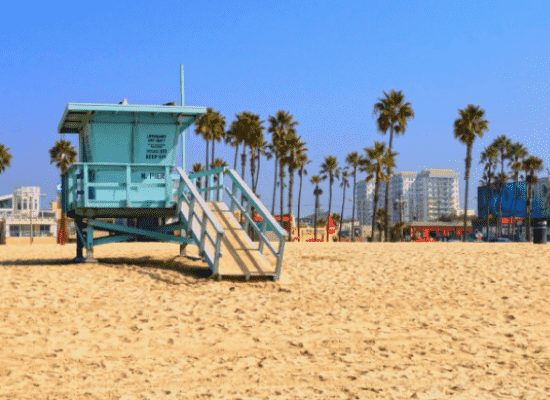 Los Angeles caters for every tourist, beautiful beaches, fascinating museums, theme parks or enjoying the sunshine making your way through shopping districts or enjoying a long lunch in the sun. Check out of your hotel in Los Angeles and transfer to Palm Springs. En-route to Palm Springs, stop off in Desert Hills for some unrivalled factory outlets. Arrive in Palm Springs and check into your hotel for 4 nights including breakfast. 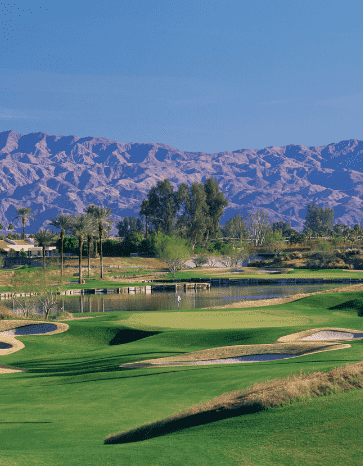 The Stadium Course at PGA West – Voted as the toughest in the US, a Pete Dye masterpiece. 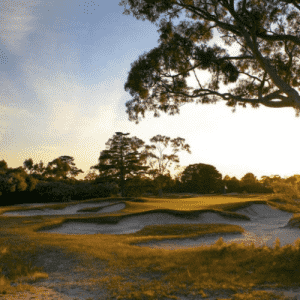 A John Fought-design, The Players Course features a classic American design complete with sculpted bunkers in a style reminiscent of Riviera, Winged Foot and the brilliant golf courses created by Dr Alistair Mackenzie. 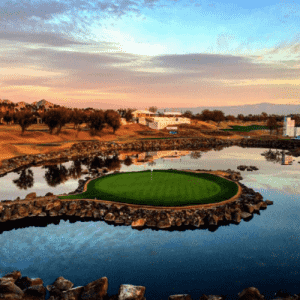 This course opened in 2007 and gets rave reviews. Enjoy an architectural tour of mid-century modernism, famous in Palm Springs. Check out of your Palm Springs Hotel. 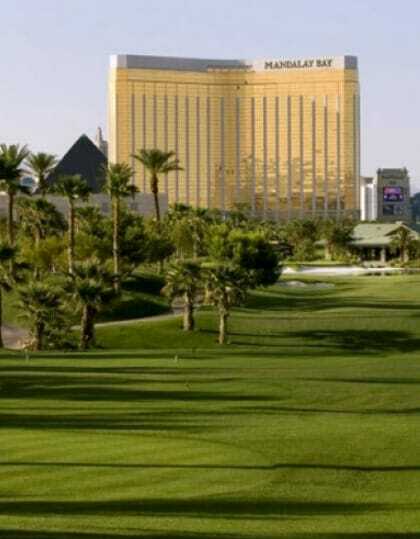 Transfer to Las Vegas where you will check into your hotel on the Las Vegas Strip. Tee off at Bali Hai. 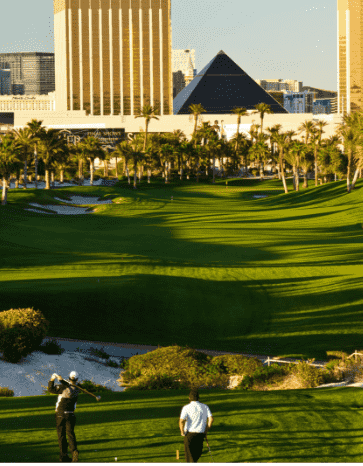 An exceptionally manicured course which the impressive Las Vegas strip in the background. Tee off at The Wolf Course at Paiute. 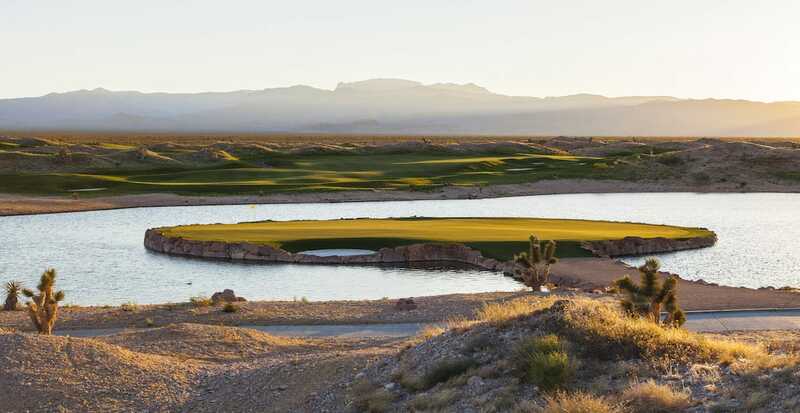 All three wind-blown Pete Dye designs — located 22 miles northwest of Las Vegas — are free of homes and invariably in superb condition, but the toughest and longest test is the Wolf, with multiple blind tee shots and the facility’s largest, most undulating and fastest greens. 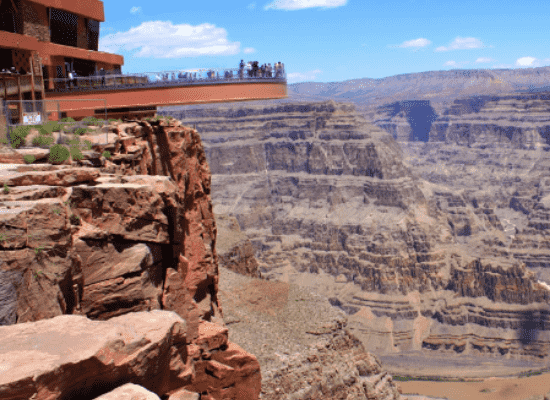 The Grand Canyon – by helicopter, car or foot. 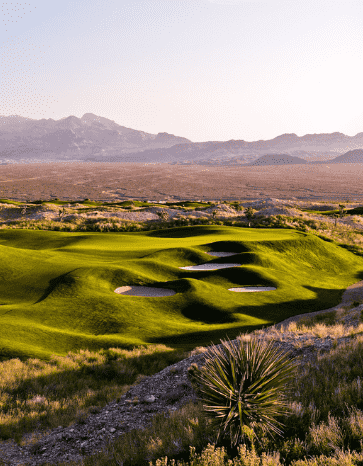 Golf Shadow Creek – The birthchild of Tom Fazio combined with an unlimited budget, a memorable course and Experience golf has the connections to give you access.